So, I’m back. It’s been a while since I’ve actually had the chance to sit down and write, so let me explain. If you don’t give a crap about my personal life and explorations, I don’t hold a grudge against you for skipping ahead to the bold heading a few paragraphs below that reads “Finance Starts Here”. I promise there’ll be an entire article’s worth of content down there. I’ll start by saying I’ve had an interesting couple of weeks, and we have a hell of a lot of content to talk about. WordPress decided to mutiny and failed to publish my article (the one that was published last Thursday) on time, and Corbin wasn’t able to catch it because of a battle with the flu. Therefore, the article that went up last week was supposed to go up the week before that on the 11th, and I didn’t catch it because I was on a 15 hour drive. Mistakes were made by multiple people on the team, and we apologize. Okay, so remember that trip to Georgia I was talking about a few weeks ago? Remember how I said I was going to shopcrawl? Well, I didn’t get the chance to. I had a bunch of stores picked out, and our plan to leave at 3AM from upstate NY was in place weeks in advance. While Oswego is normally known for its’ incredible levels of snowfall and cold weather, the weeks leading up to our trip had left us with zero snow whatsoever. Unfortunately, the powers that be were saving up all of the snow over the past month, and felt the need to dump it all on us on the evening before our trip was scheduled to begin. When we braved the storm outside into the campus parking lot, we learned that we were completely trapped until the snowplow came through so that we could shovel ourselves out. Nope. A deadly combination of a personal emergency on Sunday night combined with another ridiculous snowstorm up north meant that we had to put the bulk buys on hold as we rushed back to NY on Monday. One small vehicle collision on I-81 at 12:30AM later, and my fiancee’ and I were stranded at a motel for another day in Pennsylvania while we waited for information on a rental car from the insurance. Thankfully we’re both okay, but it was certainly a stressful event overall. Remember that trip to Georgia I was talking about a few weeks ago? Contrary to what you may have thought, I didn’t drive all the way down there to unload pricey staples, post-spike Modern cards, or anything like that. 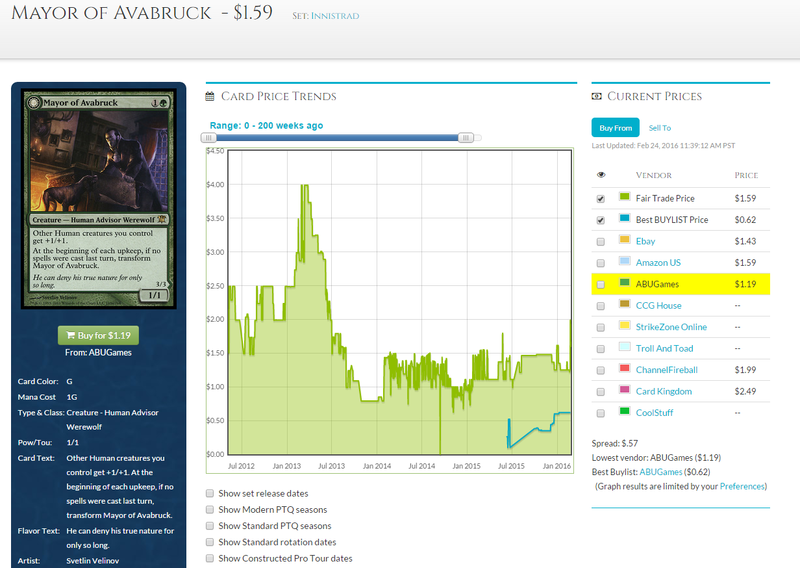 The real treasure here was the fact that Card Advantage’s buylist is one of the deepest in the entire country. In the pictures below, ignore the first three categories. Then, convert the numbers into cents. 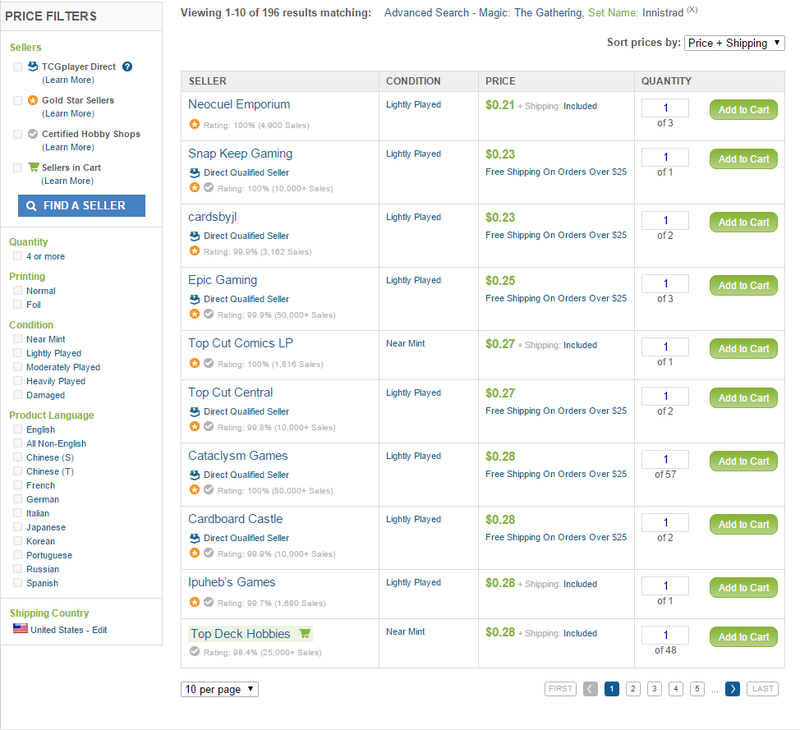 These are the real treasures of #mtgfinance, because it’s impossible to lose while buying bulk. While we spent almost an entire day pricing out everything and settling the final cash number, it was made much easier by the fact that everything was alphabetized beforehand. I’m sure some people reading this will take this photo as a humble brag, but it just goes to show that with a good network and the willingness to pick the dimes and quarters, you can walk away with a lot of cash that nobody else will even care to sneeze at. So for the past two weeks or so, I was planning to write about how Mayor of Avabruck was a darn fine spec target at his current $2. 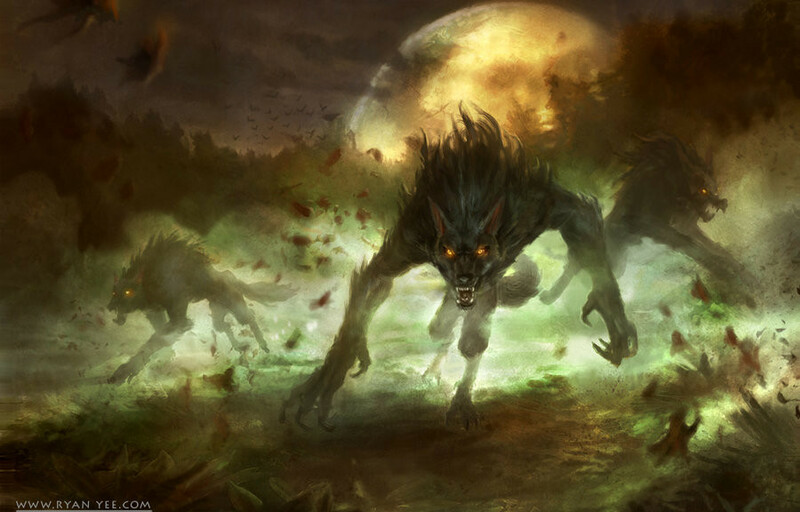 I had this whole repeat Spawnsire argument planned, and how werewolves are a slam-dunk casual tribe that were going to receive new support in Shadows over Innistrad. I was going to advise you to buy into the puppy lord so that we can all revel in his future $5 price tag together. Part of my argument included the SOI checklist card that was leaked a few weeks ago, and how Mayor was obviously not going to be included. That argument fell apart about ten minutes ago, when I actually put a little bit more thought into the comparisons between Spawnsire of Ulamog and Mayor. 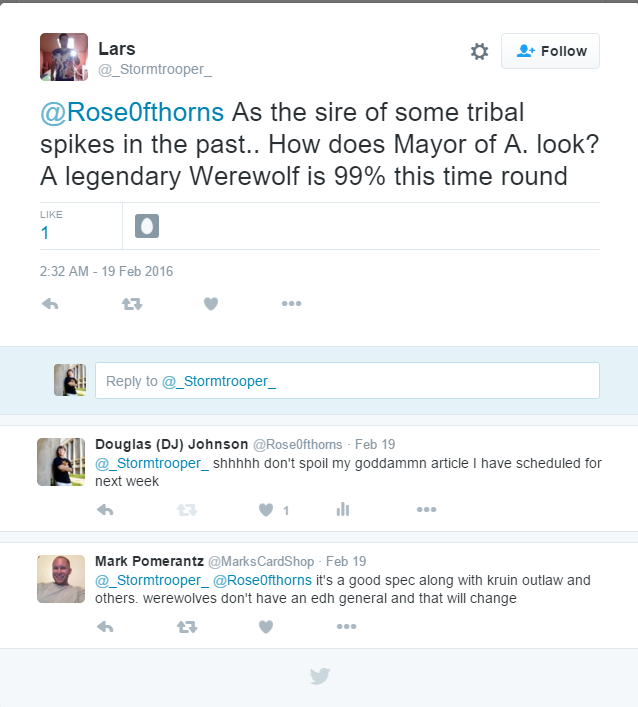 As you can see in the linked picture above, Lars on Twitter said that the possibility of receiving a Legendary werewolf this time is 99%. I thought so too, until I actually read all of the names on that checklist card. Tell me, out of all the double-sided cards that are in this set, how many of those feels like a name they would use for a legendary werewolf? None of them. We don’t even have a character name on the sheet. Unless this is only one checklist card of two in the set (You’ll notice that we can see CH1/297 in the bottom left corner of the card), then we’re not getting a legendary werewolf. 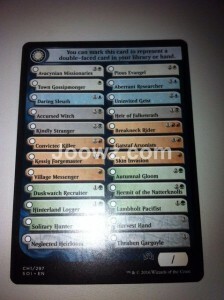 In fact, it looks like there’s less than ten werewolves in the entire set. This is a whole different level of archetype support than Eldrazi were receiving in Battle for Zendikar. None of the other rarewolves have moved an inch over the past four and a half years. 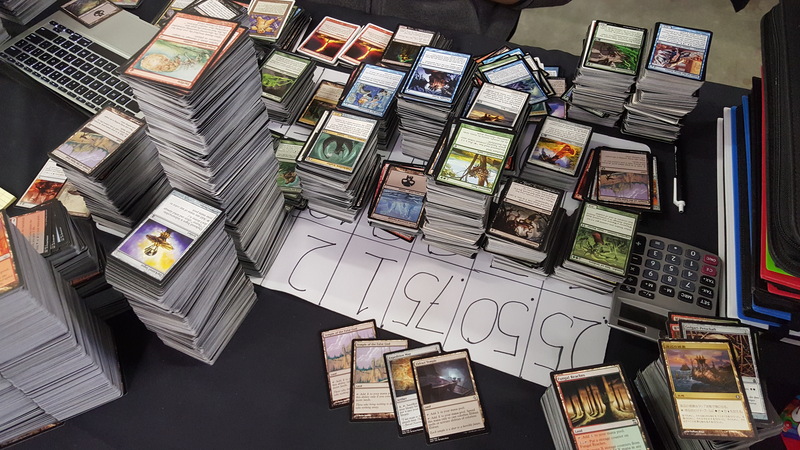 If you want to, it’s still extremely easy to build a werewolf deck for less than twenty or thirty dollars because all of the pieces are literally pure bulk, and the supply is plentiful. Because of these factors, I honestly don’t think Shadows over Innistrad will spark a surge of werewolf demand like BFZ did with the Eldrazi. 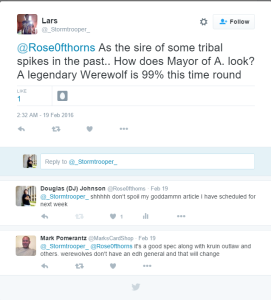 While the buy-in is certainly cheap and you’re running a very low-risk operation, I think you’ll at least have to wait until more news about Eldritch Moon before we can expect returns on Mayor. or any of the other werewolf creatures. If you’re someone who wants to throw a few dollars into the ring for fun, I can think of a couple cards that I expect to stay under the radar for a while longer. While neither of these are cards you want to buy from the internet at full retail, I’ve been stocking up on these for several years in slight hopes of a casual resurgence. I had the opportunity to move them to Card Advantage for a fair 8 cents a piece, but I quickly declined. As I said before; I really don’t expect demand for werewolves to spike significantly enough from SOI to put a dent in the current supply. 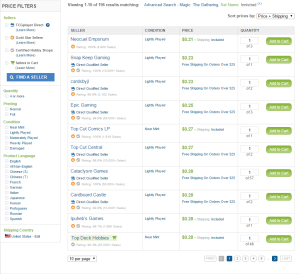 When we look at the amount of stock that stores have below, it’s hard to expect commons and uncommons like this to move any meaningful amount. What we can do, however, is hold onto the cards with the hopes that we can network and make connections with non-competitive players at the prerelease, managing to get “full retail” (and by full retail, I mean the full 50 cents a piece) for our five year old commons and uncommons that have dodged reprints up until now. 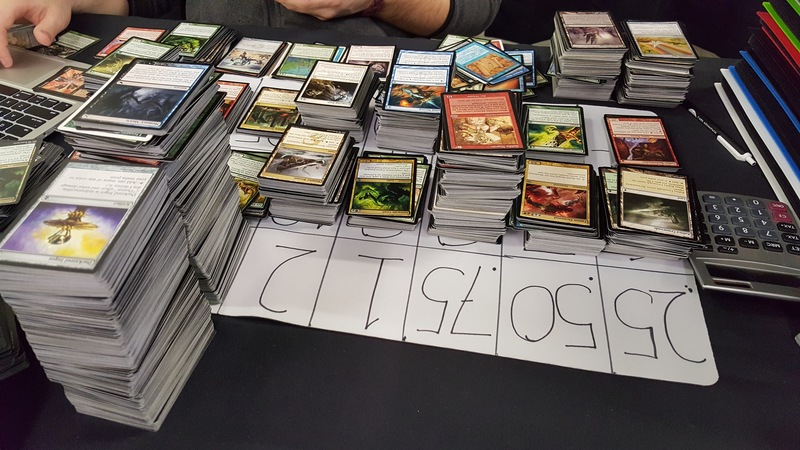 Putting playsets of Moonmist in your trade binder at the SOI prerelease will go a long way towards shaving discounts off the new Standard staples that you’re hunting for in the set. While we’re still on the subject of double-sided cards, I want to talk for a minute about Delver of Secrets. Once heralded as the Nacatl of the skies while terrorizing eternal formats, Delver’s wings have been clipped for a while now, and we haven’t seen him show up recently in any sort of high-level event. What I have seen, is a group of people advocating picking them up at their current $1.50, and foils at $10, as a result of the checklist card from before confirming an absence of reprints. 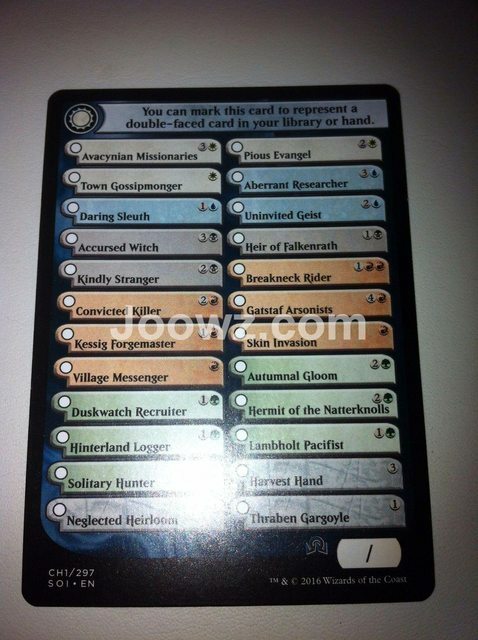 I honestly don’t think that alone is enough to cause demand for Delvers to increase, so I would personally away away. 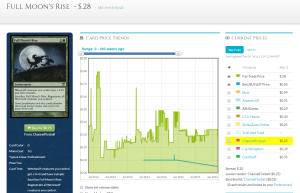 As a matter of fact, I sold every single Delver that I owned to Card Advantage back in Georgia for $1.00 each (which is also an example of how strong their buylist is). 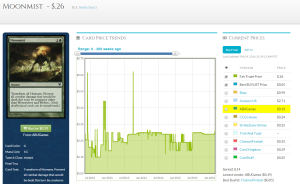 I understand your take on Delver, but I strongly advocate buying foils if they r as low as $10. 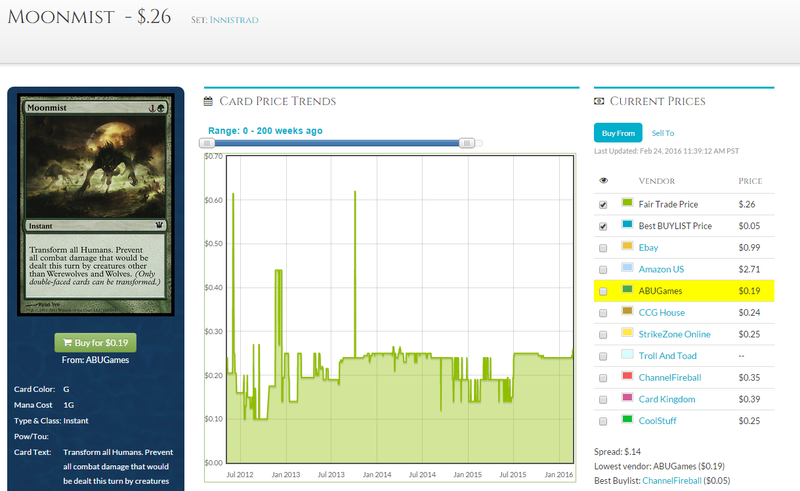 that’s just insane for a card that is a 4 of in multiple legacy and vintage decks. If a viable delver deck becomes available in modern or if there’s some new eternal format I think the card will skyrocket. Without daze and FOW I understand why delver isn’t quite good enough in modern. 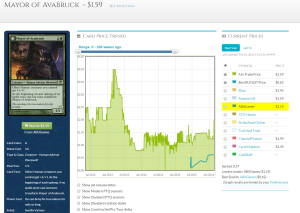 Selling non-foils for $1 does seem like a no-brainer to me and u made out well with that. I’ve tried to make a Junk Chord Coco humans deck in Modern for a while now, even in that Mayor couldn’t make the cut. Also tried Naya Humans, again he was just too weak. There’s also a promo foil version to bring the price down. I love the little anthem that could but he’ll remain a casual favorite and that’s about it. Do u NEED a legendary warewolf to make the tribal deck work for EDH? Thanks Spencer! We’re both okay, and that’s the most important thing. I don’t think Mayor will ever make the cut in a competitive list, and I’ll still argue that I don’t think he’s as much of a “favorite” as everyone thinks he is. 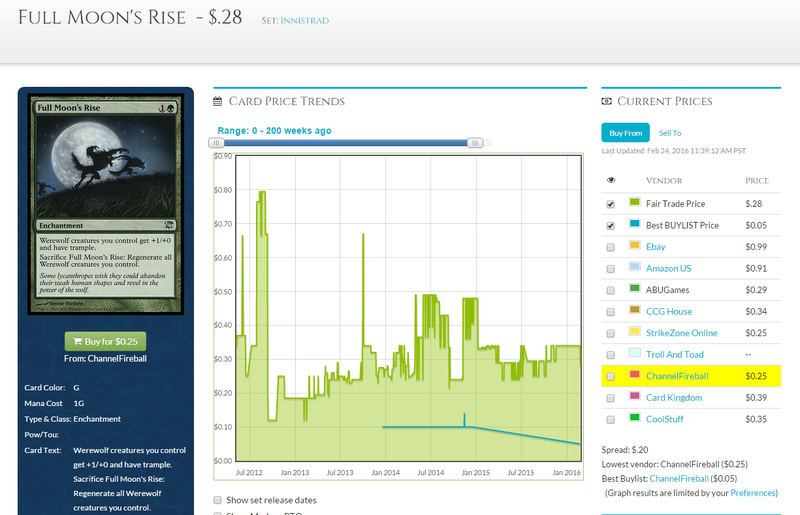 Innistrad is over five years old at this point, I would expect a decent amount of growth if playsets were being sucked up into the casual black hole.